At Big Island Honda in Hilo & Kailua-Kona, we accept nothing less than genuine Honda parts for use in maintenance and repairs. For the best possible performance, Honda vehicles require factory-original parts—and that’s exactly what we supply! What’s more, we make parts replacements more affordable by offering ever-changing Honda parts specials and coupons. Here, you’ll find great savings opportunities on some of your car’s most important components! Save $10 on a Dash Cover for your Honda! Must present offer at time of purchase for offer to apply. Valid at Big Island Honda. Cannot be combined with any other offer or applied to past services. Does not include applicable taxes, shop supplies, and hazardous waste fees. Limit one original offer per person. Other restrictions may apply. Void where prohibited. See Dealer for details. 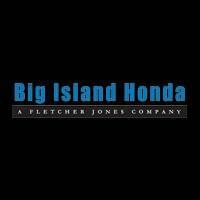 Buy Honda Parts Online from Big Island Honda! From brake discs and tires to collision parts, we offer one of the widest selections of genuine Honda parts near Kamuela. No need to try your luck with aftermarket parts! Whether you drive a Honda Accord, Fit, or Odyssey, we have the exact parts for your vehicle. Know which part you need? Use our handy online ordering form to request it, and we’ll let you know when it’s ready! If you have questions for our team, contact our parts department today.